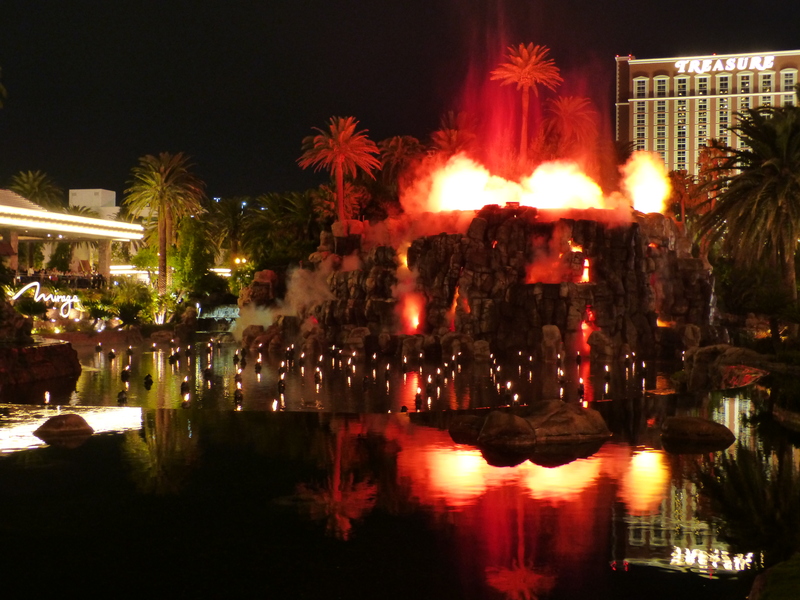 The first and last stages of our latest holiday involved Las Vegas. I must say there are other places I would rather have visited, but it was a convenient jump-off point for a weekend skiing and a daytrip to the Grand Canyon (both of which will be detailed in separate blog posts, so watch this space), plus Tom had to go to a conference there anyway. 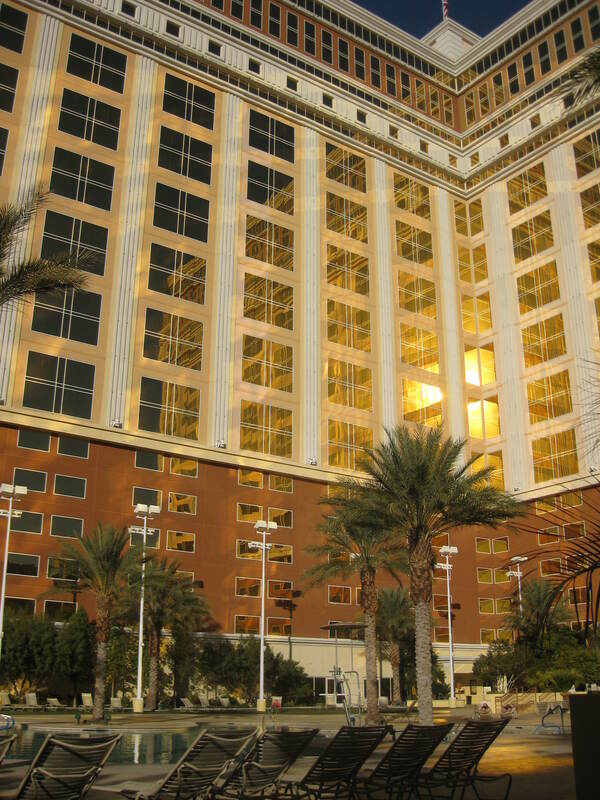 The first hotel we stayed in was several miles south of the strip, and was (dare I say consequently?!) slightly less tacky than the average, in addition to having one of the few outdoor pools (and hot tubs!) open at this time of year. 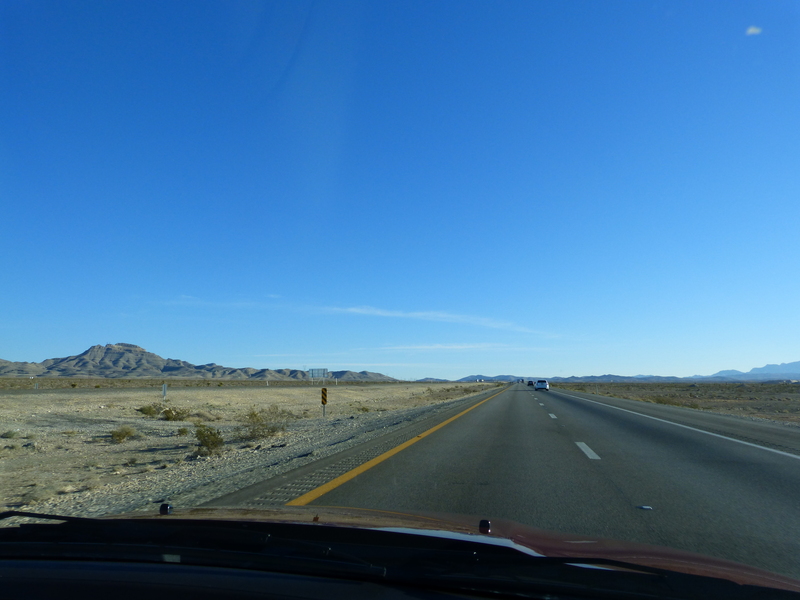 Driving out of the city the following morning the transition was remarkable – one moment we were in five lanes of traffic passing through the suburbs, the next we were out in the desert (a much less stressful experience than the return journey). Back in Vegas after the fresh air and open spaces of Brian Head and the Grand Canyon, the noise and neon lights were all a bit much. 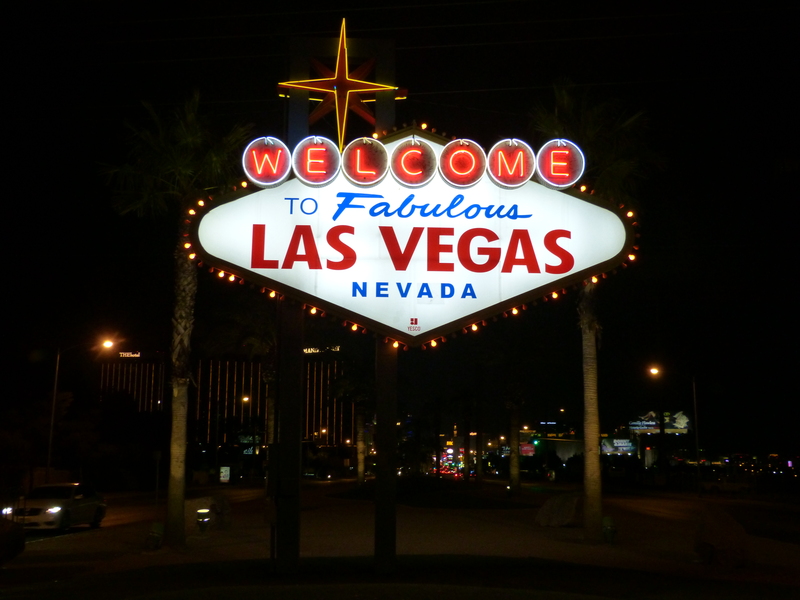 That said, it was quite fun driving down the length of the strip watching the buildings change from Elvis-themed wedding chapels, seedy strip clubs and motels to the glitzy mega casino resorts. Back on foot we wandered into an exhibition about Liberace, enjoyed a nice meal or two, actually won a little money on a fruit machine, and watched a rather spectacular volcano show (because what else does one do with an outdoor lake when the Bellagio fountains are just down the street?!). We also learned a little about the history of the city, which I thought was rather interesting. Various people passed through the area at different moments in history, but it was the completion of a railway from Salt Lake City to San Fransisco in the early 1900s that really put the area on the map as the presence of natural springs made Las Vegas an ideal refuelling stop. The construction of the Hoover Dam brought a huge number of new people to the area, and illegal gambling boomed as a result. Once gambling was legalized in Nevada in 1931, mob bosses took their profits to the next level by creating the first resort hotels, with onsite casinos, swimming pools and other amenities. 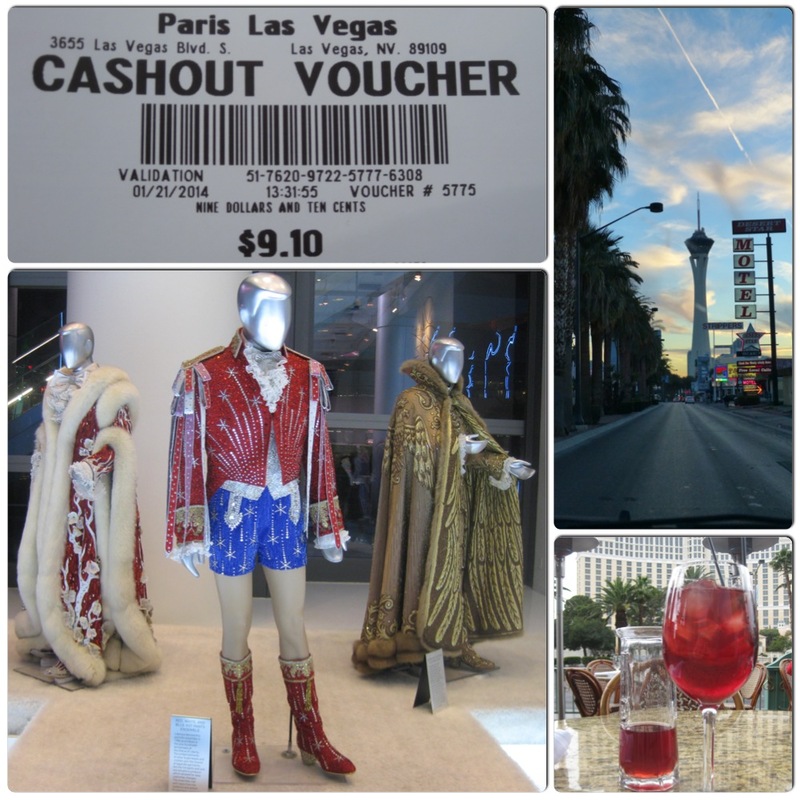 This entry was posted in Holidays, Travel and tagged Las Vegas by Emma Davidson. Bookmark the permalink.